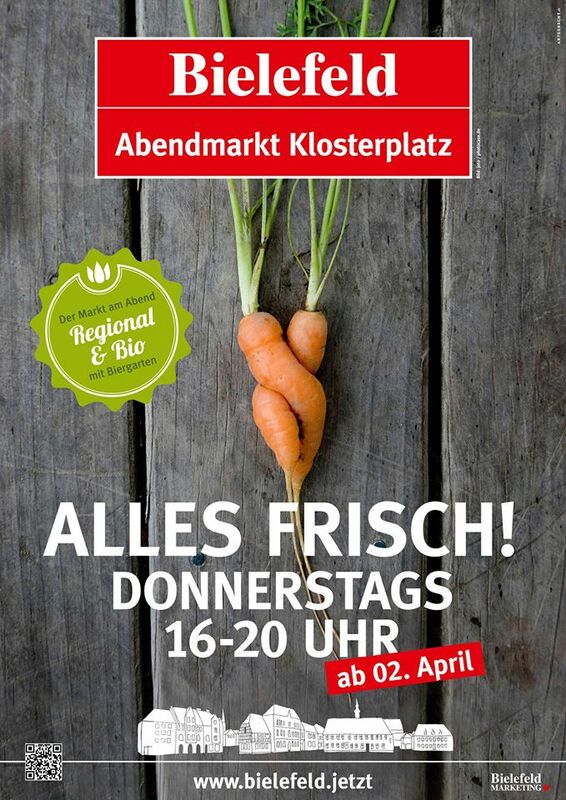 Starting this Thursday April 2nd will be a new weekly evening market at Klosterplatz from 16:00 to 20:00 with local produce, bread, flowers and a beer garden. Should be a nice place to meet after work once the weather warms up. Alte Markt – Flowers and fruit Wednesdays and Saturdays 9:00 – 14.00. Friday 9:00 – 14:00 flowers only. 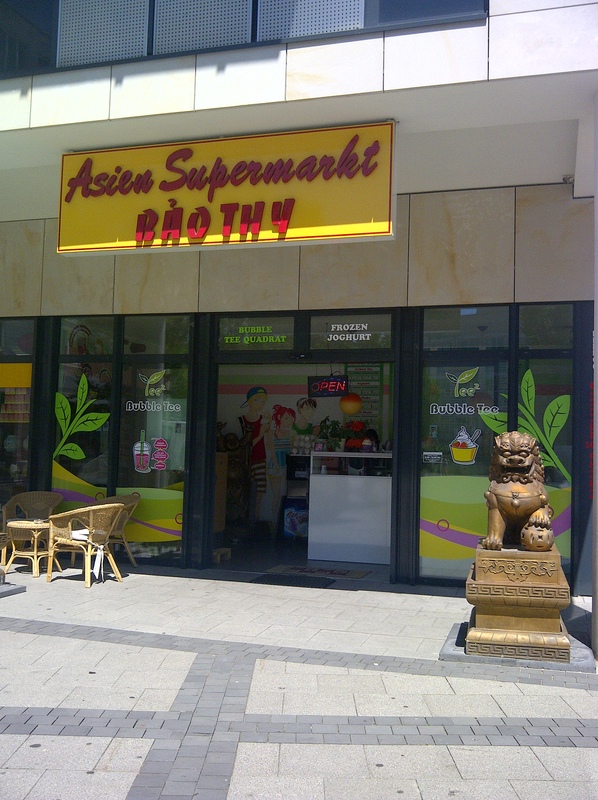 On this lovely sunny day in Bielefeld I was out doing some shopping at the Asian stores we have in the center of town and thought I should share.In the center of Bielefeld there are two located right near Kesselbrink (which happens to be a very large construction site right now.) 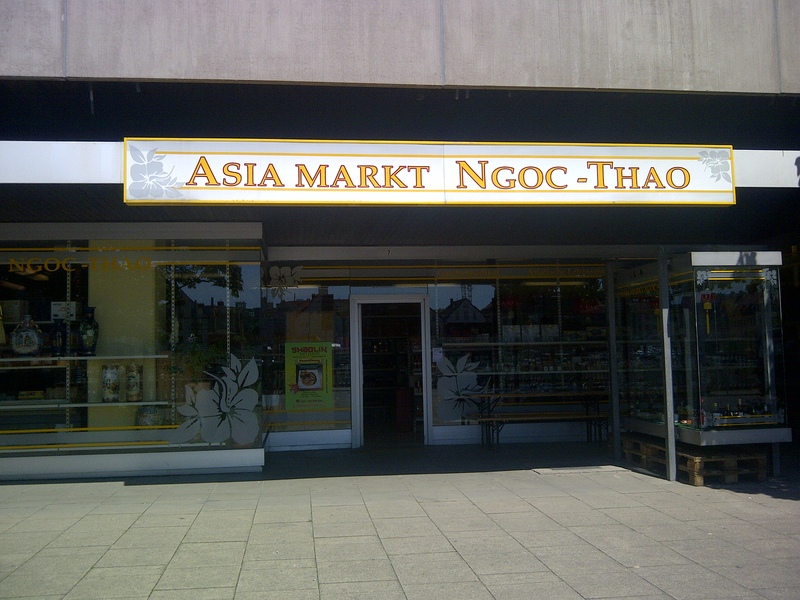 One is directly across from the Kesselbrink parking lot and garage called Ngoc-Thao (This is where I would normally put in a link but the website is not working and google shows the old address before they moved. Current address is Fredrich-Ebert-Strasse 9.). They often have fresh dim sum at the register for sale as well as a large selection of various asian ingredients. 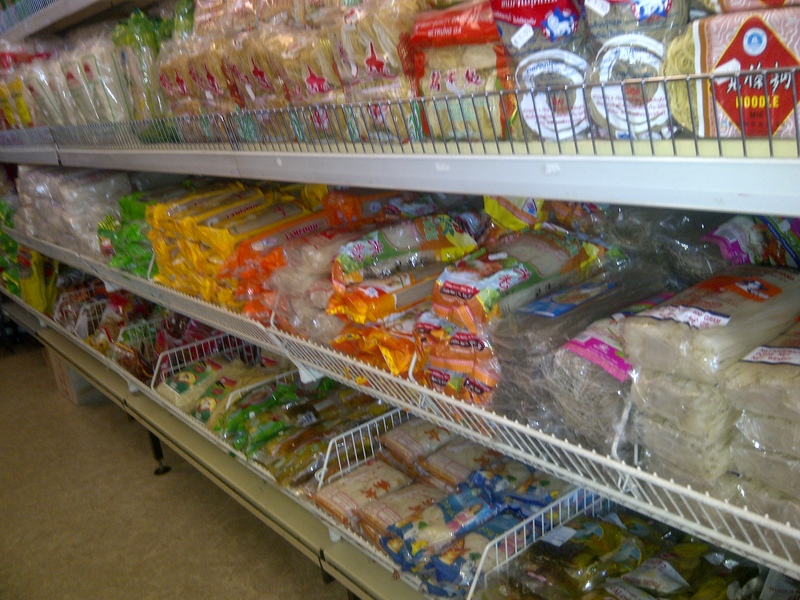 The freezer section is well stocked and the refrigerator always has a selection of herbs, vegetables, and fresh tofu. Being that I am a Glutenfree girl, this is where I buy my flours (rice, tapioca, corn) and noodles (hello glass noodles, you are looking yummy today!). You can also find large quantities of eastern spices for a much more reasonable price and jasmin rice in bulk. This is also the only place I have seen fresh bok choy and other asian vegetables (though not regularly). Both places are fantastic for sauces and spices and the pricing is pretty similar. I usually hit both for different reasons, but for me both are part of the required shopping for a properly stocked pantry.